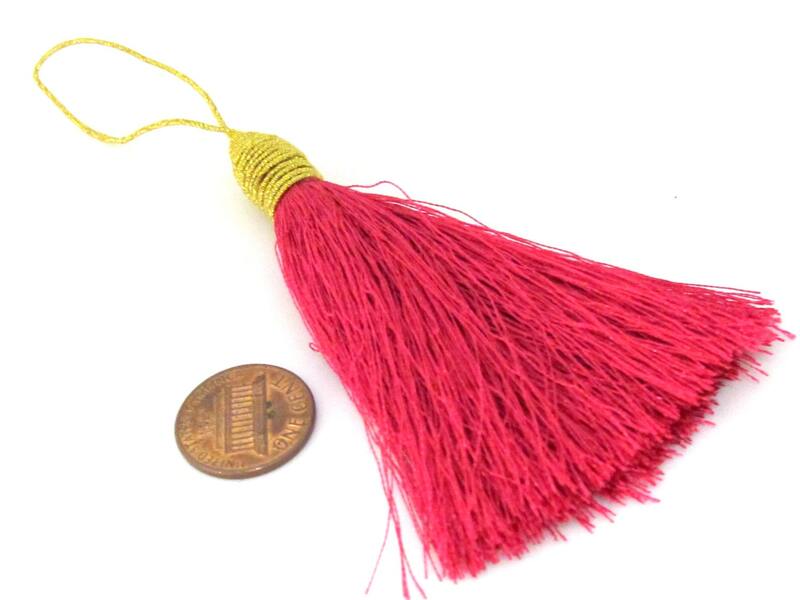 This listing is for one long tassel . 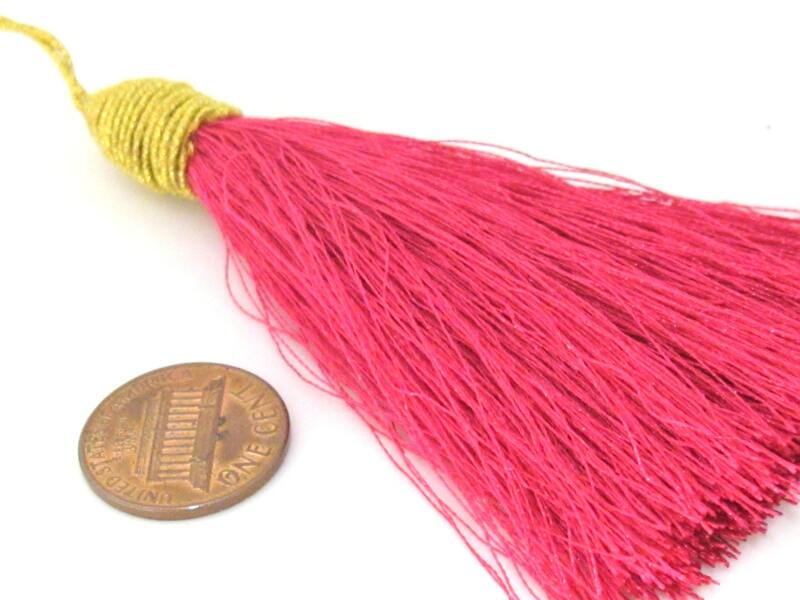 Great for use on curtains , crafts , purse decor , jewelry making , etc. 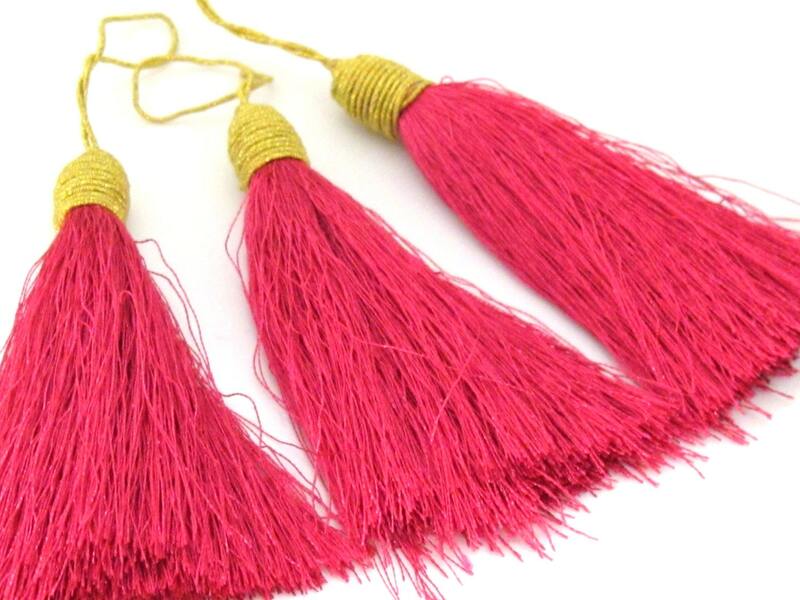 Has a beautiful golden cord twined at the top. 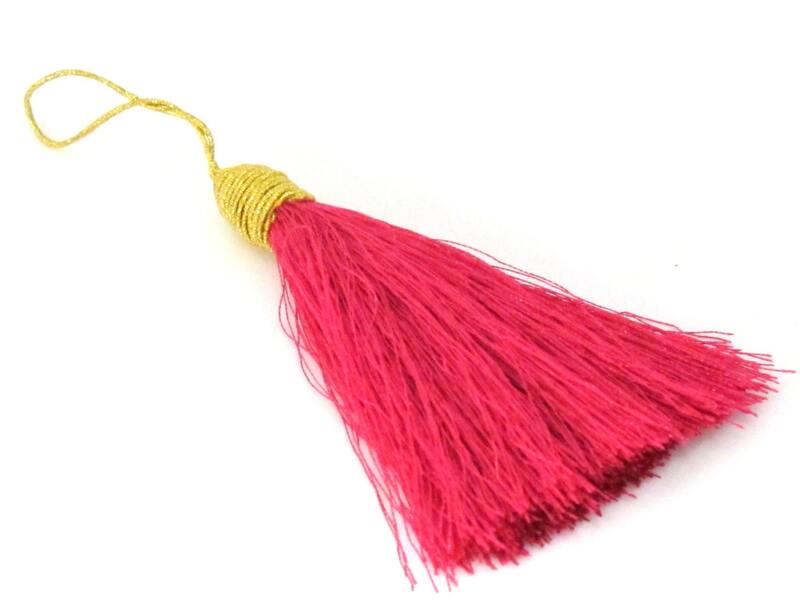 Size - Main Tassel part is approx 85 -90 mm long . With the string length they are approx 125 mm - 145 mm .